Adobe has issued updates to its Lightroom and Camera Raw editing suites to include updates for a range of different new cameras including the recently launched Nikon 1 series. 30 more lens profiles have also been added to help correct unwanted distortion and chromatic aberration. Apparently listening to customer feedback, Adobe has updated Lightroom and Camera Raw based on feedback received from users of the last versions of the software. Other new cameras now compatible also include the Canon Powershot S100, and the Sony NEX-7 compact system camera and high-end compact Fuji Finepix X10. Adobe Lightroom is a photography workflow program, which can import, manage, enhance and display images within one application. It includes the ability to make basic edits and sits between the basic Photoshop Elements and the more advanced full Photoshop CS. Camera RAW is included on Photoshop CS packages for converting native raw format files from cameras into files that can be worked on and saved through Photoshop. Edits can also be made from within the RAW interface. 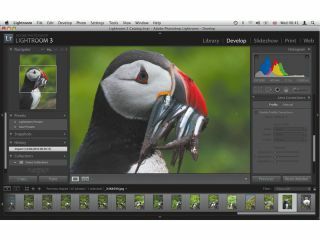 The Lightroom 3.6 update is available for free download for all Lightroom 3 customers, while the Photoshop Camera Raw 6.6 plugin is available as a free download for Photoshop CS5 customers.